Nine has now confirmed Lego Masters will begin on Sunday nights when ratings resume. The 9 part Endemol Shine series is hosted by Hamish Blake with Lego expert Ryan “Brickman” McNaught as judge. Eight teams will compete for $100,000 and a Lego trophy. It premieres 7pm Sunday April 28 and is expected to continue across several weeknights. To my mind this is the wrong timeslot for this kind of program. It does not really fit into the big-scale shiny floor reality slot seeming like a narrower, more niche concept. I would have thought it a great fit for Friday/Saturday nights as a once a week proposition. Treating it like the standard stripped reality seems a bit odd for this kind of program. I suspect the audience will be relatively limited both in gender and other demographic indicators. I’m not sure how limiting this would be to audiences if it is fun and creative. It seems to be aimed at families and similarly agree they once a week would be good for 9 weeks. The oversaturation of content by programmers the “in your face scheduling” is off putting and generally discourages me from watching anything that is on more than twice a week! If the Voice isn’t starting for weeks then what Is Nine Going to have Mon-Thurs to go against House Rules / MasterChef? Looks like the 29th is going to be between Lego, Masterchef and House Rules. I’ll watch Lego and HR after Masterchef. I’m more confused about MKR… Won’t it still be on after Easter? MasterChef won’t start on April 29 because Bachelor in Paradise will still be on air. 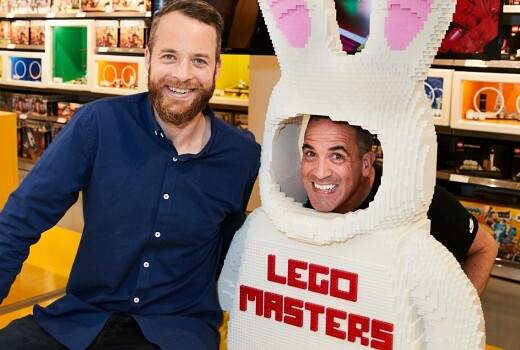 Nine’s press release has said Lego Masters will be shown three times a week across three weeks (9 episodes in total), so the show should finish on Tuesday May 14, with The Voice starting the week after. Depending on how Lego Masters rate, Ten may have to push back MasterChef until after LM finishes.